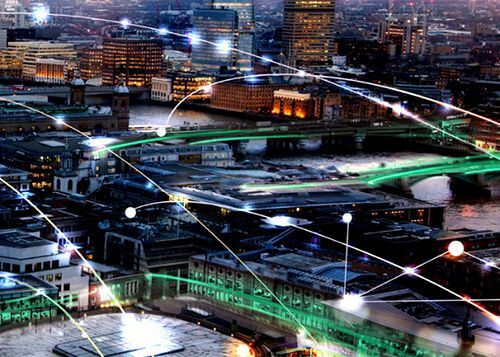 The City of London digital connectivity project case studyThe City of London Corporation (CoL) is one of the world’s leading international financial and business centres. Cornerstone, in partnership with Col, is bringing residents, visitors and the business communities within the 'Square Mile' high-quality network digital connectivity. The objectives were to create a connected environment to benefit everyone in the area, now and in the future. To achieve their goals, CoL awarded Cornerstone a contract to deliver a world-class wholesale cellular network to Mobile Network Operators (MNOs) and wireless broadband providers that enables next-generation wireless services. An unlimited, free, public Wi-Fi service was also required, following the expiry of the corporation's previous Wi-Fi network. This multi-million-pound project is one of the most significant digital connectivity investments in London. Workers, residents and visitors now benefit from access to digital rich content in a dense urban environment. Cornerstone and Telefónica built the 4G (LTE) mobile network using small cell technology on CoL street furniture and property assets. The network installation today prepares the infrastructure for the arrival of 5G. A combination of our mobile infrastructure expertise, industry knowledge and working with our partner network, resulted in a successful project. As well as planning and building the network, our IT team were integral in enabling us to work closely with the client and manage some challenging aspects. They created an online customer portal (http://wireless-concessions.ctil.co.uk/) to view the location and suitability of street furniture assets, for example, lamp posts and CCTV columns. Using a variety of cloud-based technologies, new system changes were implemented that integrated all parts of the project. As digital connectivity solutions and 5G rollout gather pace, expert knowledge of mobile technologies and installation management are vital. Although CoL had no prior experience of this kind of project, Cornerstone's team provided the support, guidance and knowledge to ensure this project was 'fit for purpose' now and deliver an approach to address future needs. The IT team at Cornerstone offered an agile approach to developing and implementing the various cloud technologies throughout the contract, delivered to match the customers' needs within an impressive six-week period. The completed project is not only future-ready but will support other initiatives which run on parallel infrastructures and will lead to a more efficient rollout of additional network support and upgrades. The award recognised a tremendous collective effort that has made significant connectivity improvements in a key UK location. The CoL vision was to provide the digital connectivity solutions to meet demands now and, in the future. The technology and infrastructure support from Cornerstone and Telefónica have ensured this project is setting the standard for a more connected city.